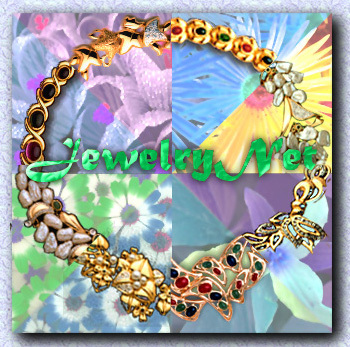 Welcome to JewelryNet, the World Wide Web's one stop information and resource center for Jewelry related business. Whether you are shopping for the perfect gift for your loved ones, check out the latest jewelry design and trend, learning how to appreciate jewelry or looking for a business partner in the jewelry business, we have something for you. Who are we. Information on our service. A leisurely walk through our list of jewelry retailers. Showcase of the hottest styles from our globally acclaimed designers. The latest news and trends in the jewelry industry as well as JewelryNet. Information base about jewelry. Articles from magazines around the world. Introduction on appreciation of diamond, gem and jewelry. A meeting place for the jewelry trade. Jewelry associations and trade organizations, manufacturers, importers, wholesalers, trade centers, trade shows and other jewelry related businesses. Some contents are paid advertisement provided by our advertisers. SoloWing Concepts is not responsible for contents presented to us by our advertisers. Neither do SoloWing Concepts endorse any product nor service appear in this publication.